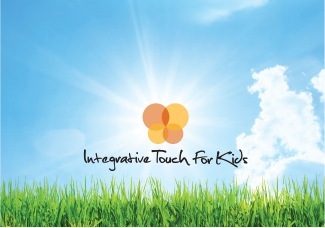 Integrative Touch for Kids Event Participants: Healing Circle 5/05/19 - Family Wellness Workshop Sign Up! Healing Circle 5/05/19 - Family Wellness Workshop Sign Up! Healing Circles are a place for families with kids with special needs to receive integrative wellness therapies - free of charge. Therapies include bodywork, acupuncture, sound healing, energy therapies, play, art, and movement therapies like Tai chi, Qi Gong and many more. Families come together in a circle comprised of healing arts practitioners who deliver services over the course of an afternoon. Kids will receive treatments and play with a team of Junior and General volunteers at stations with crafts, games, art, movement and mindfulness activities. Doctors, nurses, and medical staff will oversee the entire event. Each Healing Circle is an opportunity for us to heal and grow together. Sign up below and join us for this lovely afternoon!!! We require a $20 deposit to hold your place in the Healing Circle since we expect to have a waiting list for this event. When you attend the Healing Circle, you can choose to receive a refund, make a donation to ITK, or to receive a $20 credit towards an ITK T-shirt, hat or water bottle for your family. When you arrive on the day of the event you'll fill out some paperwork, meet your children's buddies, and get started with your happy healing day! Breakfast snacks and a healthy lunch will be available for everyone. Please arrive having eaten and with any extra/special food your family may need for the day. When you attend the healing circle, you can choose to receive a refund, make a donation to ITK, or to receive a $20 credit towards an ITK T-shirt, hat or water bottle for your family.